Sportsstuff has a wide selection of inner tubes and towables that deliver water-sporting experiences unlike anything else that’s available. 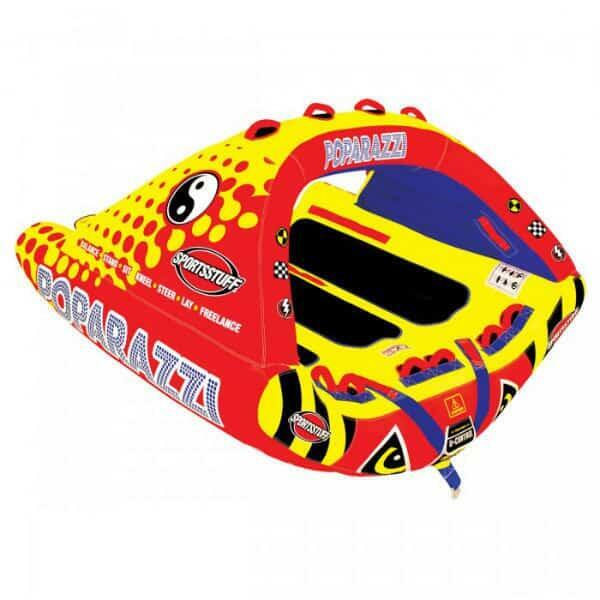 Look to Sportsstuff when you want to give riders a completely new experience on the water. 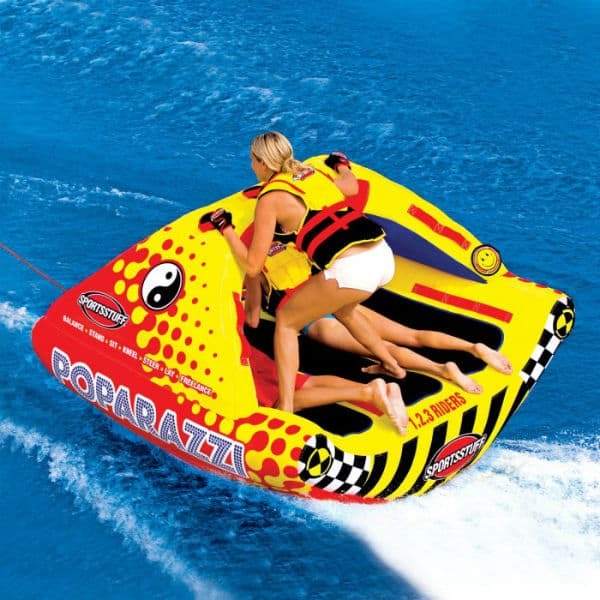 The Poparazzi features a teeter-totter style curved bottom that carves and glides across the wake in an inventive way, and with minimal drag. As the boat turns one way, one side will go up, and the other will go down. As the boat cuts back the other way, the roles are reversed. This experience is unlike any classic donut-style inner tube ride that riders are accustomed to. Multiple EVA foam body pads line the tube’s riding space to allow rides to switch between different positions and remain comfortable. The tube is equipped with many double webbing foam handles that feature knuckle guards. Enjoy the classic laying position, or change to kneeling, steering, balancing or freestyle with the unique and inventive Poparazzi by Sportsstuff.